Some dog owners assume that incessant barking, missed meals, diarrhea, and kennel cough are just a normal part of the dog boarding experience. This does not need to be the case if temporary living environments can be structured to meet and accommodate the stresses of being a dog. We, as canine care owners, have a vested interest in maintaining a stress-free environment in kennels. Not only does stress play a major role in the spread of disease, it can also bring out problems in dogs that are vulnerable to stress, abnormal behavior, and anxiety. Unfamiliar noises and smells, temperature difference, and lack of social contact all cause canine stress. By changing the environment to better suit the dog, stress is reduced. Reducing cramped and crowded kennels, providing separate areas for sleeping and outdoor space, controlling the temperature and ventilation all help create a more comfortable living situation. In addition, there are even more ways to reduce stress. Thoughtful kennel design allows dogs to feel more at home. Unfortunately, although it might make some owners feel better, this usually doesn’t mean adding a color television or king-size bed in the dog’s kennel. Rather, this is accomplished by being more dog-centric and considering canine behavior at its roots. Patterns and habits helped their ancestors survive in the wild. Keeping patterns to which a dog is accustomed (such as sleep schedule, feeding schedule, type of food, number of feedings, giving treats) will comfort a dog in a strange environment. Having the owner provide the dog’s own bedding along with toys and chews can help the dog relax. These items from home will be familiar and will smell of home, helping the dog to settle more quickly and easily. On a side note, owners should always be aware that the toys and other items may not be returned in good condition, since the dog is likely to chew and perhaps even destroy them while they are away. This has been accentuated in those dogs bred to work closely with humans, in addition to being our companions. Since most dogs being boarded come from a home environment, lack of adequate social contact can be at the top of the list of stressors. Kennel facilities that include certified professional dog trainers especially have an added benefit, because they can work with dogs that are socially inept or have dog aggression. Knowing how to ease individual dogs into the overall pack can increase their socialization and reduce their stress greatly. Dogs react to our emotions. Investing in staff and ensuring they are happy in their work will bring considerable improvements for the dogs in their care. Well-managed staff who like dogs and who have a friendly, efficient approach can substantially reduce tension in the kennel. Canine care facilities should hire staff members who like dogs and have a cheerful, relaxed attitude. Kennel owners should also consider giving staff ample time during the day to comfort, reassure, and simply talk to each of the dogs throughout routine cleaning and maintenance activities. Not only will it result in happier, more content dogs, but it is also a possible marketing perk to promote as an added benefit to the customer. Dogs are sensitive to sound. Their hearing is so much more acute than ours. Unduly high noise levels affix added stress to dogs. Playing classical music of certain tones and rhythms has been documented to relax dogs in a kennel environment. Several companies sell music specifically meant to relax dogs. It is important, however, to keep in mind that the music should be played intermittently throughout the day or it can become meaningless white noise. Dogs are sensitive to smells. Their sense of smell is said to be a thousand times more sensitive than that of humans. In fact, a dog has more than 220 million olfactory receptors in its nose, while humans have only 5 million. Just think of how strong products like disinfectants must seem with this keen sense of smell. Taking the time to rinse kennels after disinfected them, toileting being done outside, and advising staff not to wear strong colognes or perfumes can all improve the experience for dogs in the kennels. As many of us know, behavioral issues are often caused by lack of mental stimulation. The dog eventually seeks out its own form, which usually results in trouble. Providing tough toys for dogs to play with in their kennels and play areas helps relieve the boredom of confinement. Toys that can be filled with the dog’s dinner, such as Kongs or activity balls, will also do the job. There is an endless variety of toys that can keep a dog stimulated for hours. The most important aspect to consider is durability. They must be able to withstand being washed and disinfected after each use. Socializing, including walks and play time with other dogs, is a great stress reliever and also a good energy release, but only under expert supervision. It can function as the best type of mental stimulation for dogs that are well adjusted. If a kennel owner does not have trainers on hand, training regular staff members on proper play and reading dog body language is essential to prevent added stress and injury. Some stressors can be costly to avoid and may need to be offered at extra cost to the customer. Other stressors may easily be avoided simply with a little time and effort. In either case, reducing stress for dogs in kennels has obvious advantages for the dogs themselves and their owners will feel more at ease knowing that the canine care facility truly does care about the dogs they look after. For kennel owners, this trust means repeat business, higher occupancy, and a fabulous reputation that will earn them even more bookings. 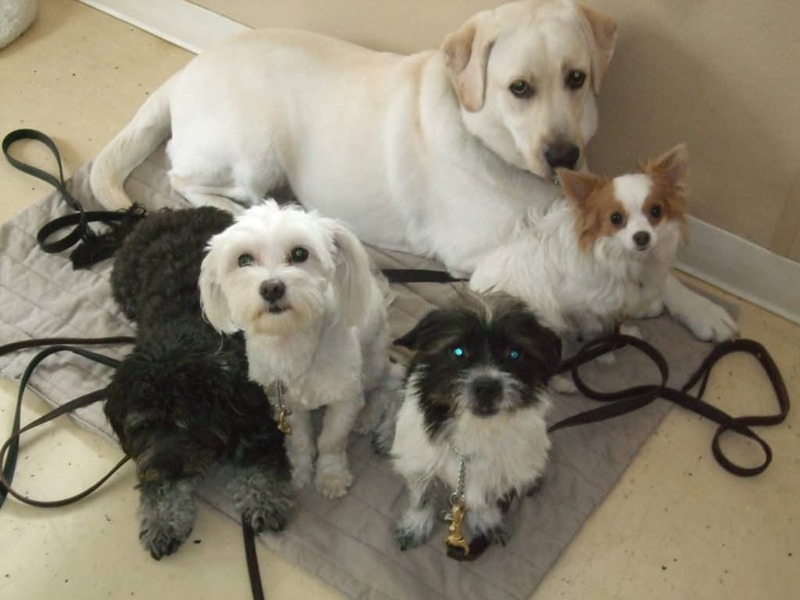 This entry was posted in Dog Daycare and Kennel Reviews and tagged boarding facilities, Joshua Spiert. Bookmark the permalink.